A joint raiding operation was recently conducted by Bank Negara Malaysia together with the National Revenue Recovery Enforcement Team of the Attorney-General’s Chambers (NRRET), Royal Malaysian Customs (RMC) and Royal Malaysia Police (RMP) on networks of illegal money services businesses (MSB). Eighteen premises located in Johor and Negeri Sembilan were raided, where relevant documents were seized and their bank accounts were frozen to facilitate investigation. To date, 14 suspects have been arrested and remanded, and 24 individuals have been questioned. The joint raiding operation also resulted in seizure of cash and properties valued at more than RM15 million and the arrest of a money mule who is connected to the illegal MSB operation. These networks of illegal money services businesses were raided for suspected offences of carrying out MSB activities (which comprise money changing and remittance activities) without a license under S4(1) of the Money Services Business Act 2011 (MSBA), as well as, for engaging in money laundering activities, which is an offence under section 4(1) of the Anti-Money Laundering, Anti-Terrorism Financing and Proceeds of Unlawful Activities Act 2001 (AMLA). The illegal MSB operators were also suspected of crossing Malaysian borders with cash exceeding or equivalent to USD10,000 without declaration to the RMC. Under section 28B of the AMLA, read together with the Anti-Money Laundering, Anti-Terrorism Financing and Proceeds of Unlawful Activities (Cash and Bearer Negotiable Instruments Declaration) Order 2014, it is an offence not to declare to RMC cash exceeding an amount equivalent to USD10,000 being carried across Malaysian borders. Those committing offences under section 4(1) of the MSBA shall be liable to a fine not exceeding RM5 million or imprisonment not exceeding 10 years or both. For an offence under section 4(1) of AMLA, persons convicted shall be liable to imprisonment not exceeding 15 years and a fine of not less than five times the sum or value of the proceeds of an unlawful activity or instrumentalities at the time the offence was committed or RM5 million, whichever is the higher. In addition, for an offence under section 28B of the AMLA, persons convicted shall be liable to a fine not exceeding RM3 million or imprisonment not exceeding five years or both. Members of the public are advised not to deal with illegal MSB for exchanging or remitting monies. They will not be protected against any financial loss in the event of a dispute. 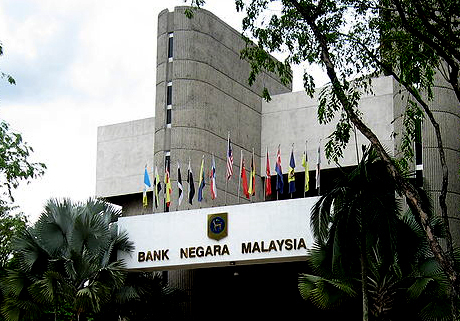 Members of the public should conduct their transactions with licensed money services businesses which are listed on Bank Negara Malaysia’s website (www.bnm.gov.my). The public is also reminded that any person leaving or entering Malaysia with cash or bearer negotiable instruments or both exceeding an amount equivalent to USD10,000 is required to declare to the RMC.